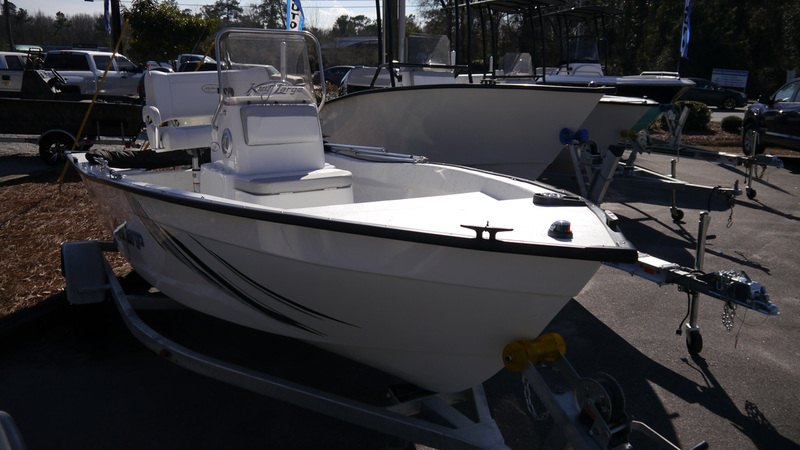 PRICE DROP FROM $21,395. 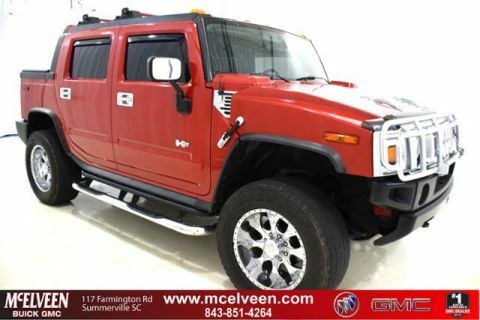 Sunroof, Heated Leather Seats, 3rd Row Seat, Premium Sound System, North American Truck of the Year Finalist READ MORE! 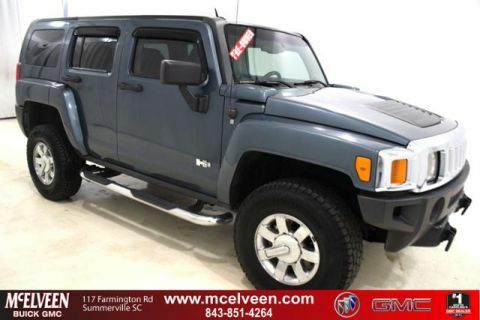 Leather Seats, 4x4, Heated Driver Seat, Premium Sound System, Onboard Communications System, Trailer Hitch, Aluminum Wheels, Dual Zone A/C, Heated Seats, Heated Leather Seats MP3 Player, Rear Seat Audio Controls, Keyless Entry, Privacy Glass, Child Safety Locks. PREFERRED EQUIPMENT GROUP brush guard, first aid kit, roof rack, ETR AM/FM stereo w/ 6-disc in-dash changer, air suspension pkg, tool kit w/portable lamp, SUNROOF, POWER, TILT-SLIDING, ELECTRIC W/ EXPRESS-OPEN & WIND DEFLECTOR Console, overhead mini, SEATS, REAR 3RD ROW FOLDING BENCH, REMOVABLE, ASSIST STEPS, REMOVABLE, U -SHAPED, FLOORMATS, BLACK, CARPETED, FRONT & REAR, REMOVABLE, TRANSMISSION, 4-SPEED AUTOMATIC, HEAVY-DUTY, ELECTRONICALLY CONTROLLED (STD), ENGINE, VORTEC 6000 V8 SFI 316 HP [235.7 kW] @ 5200 rpm, 360 LB-FT. [486.6 N-m] @ 4000 RPM (STD). 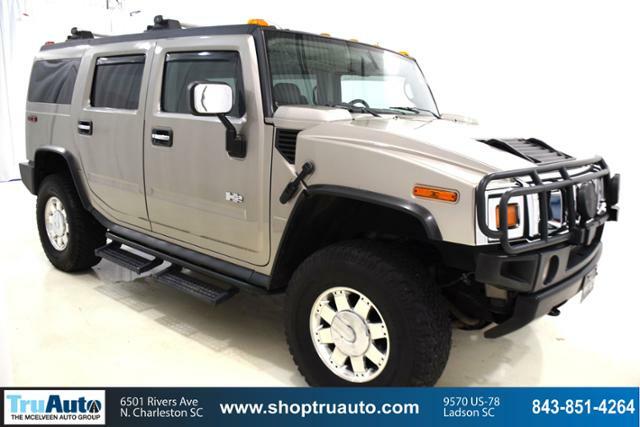 HUMMER H2 with Pewter Metallic exterior and Wheat interior features a 8 Cylinder Engine with 316 HP at 5200 RPM*. Edmunds.com's review says Distinctive styling, unmatched off-road capability, comfortable ride, cushy seats.. North American Truck of the Year Finalist.